We’re very excited to announce our partnership with BSB! We will be visiting the school a number of times throughout the year delivering masterclasses and swim camps, CPD for the coaches, offering advice and interacting with students in the school. We hope to add our insights to the swim program, sports in general and to be a valuable resource for the school in general. For more info please check out the link. 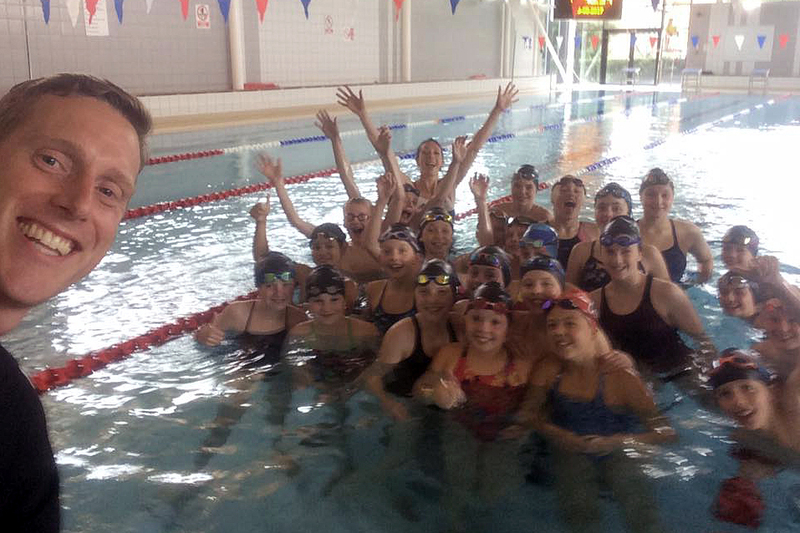 More exciting news as following our 3rd successful swim camp in Rijeka this summer we have partnered with INCroatia. INCroatia pairs international sports and education programs with the superb logistical and economic conditions of Croatia. and trusted partners in stunning locations! For more information on INCroatia please visit the following link. This September, Amy had the amazing opportunity to travel and work with the GB Paratriathlon team at their World Championships out in Australia. There as team support, handler in transition, and soft tissue therapist, I was able to watch the team prepare for their final race of the season, and be part of the action! Every member of the team that raced achieved a podium finish which is the best result that the team have had at major championships yet! Congratulations! A very impressive and friendly bunch of athletes and staff to work with. There was even some time to meet the locals (kangaroos!) and to make sure that I quenched my own need to be in the water by trying my hand at surfing after the race. I’ll stick to the swimming! http://swimswiftelite.co.uk/wp-content/uploads/2014/11/swim-swift-elite-logo2.jpg 0 0 sammy http://swimswiftelite.co.uk/wp-content/uploads/2014/11/swim-swift-elite-logo2.jpg sammy2018-10-08 09:25:462018-10-08 09:26:15Gold Coast – Australia! Abingdon camp 2017We’re always happy whenever we are able to run our swim camps at Abingdon School. We were sold out for the 2nd year (so make sure you get your names down quick for future camps!). A great bunch of swimmers attended on both days a pleasure to work with them in and out of the pool. All 4 strokes were analysed over the 2 days as well as Team building, Core strengthening, Activations, Dynamic power, Circuit training, Goal setting, Race strategies, How to deal with nerves, & Inspiration! Everyone that came left with key focus points that they are able to take back into their own training to be able to maximise their improvements and swimming performance. Everything ran as smoothly as possible, it was a busy couple of days and everyone left tired and smiling! How great to be invited to Wombourne for 2 weekends! During the pool sessions we were asked to cover Freestyle, Backstroke, Dives, flip turns and help the guys work on some weaknesses and think about their stroke and techniques in a different way. We also examined the mental aspects of training and competition and what it takes to be successful and a world class athlete. To begin the session on the 2nd week we also put the guys through their paces with a land training circuit taking exercises out of our own Olympic programmes and explaining and demonstration how to execute them correctly to assist their pool developments. I.C.E obviously agreed with us that Abingdon School has some great facilities and is an ideal place to host a swimming training day. This was another great opportunity for us to help explain and refine the complex and intricate techniques that are involved in swimming for teachers and coaches. Hopefully this way there will be some more up to date swim teaching and coaching occurring in UK and international schools. As always all who attended were very keen to learn as much as possible over the day and to get as much information from us as they can so that they are able to help their students and swimmers improve. Fantastic for us to work with some keen and driven adults. They even all got in the water and gave the drills a go! 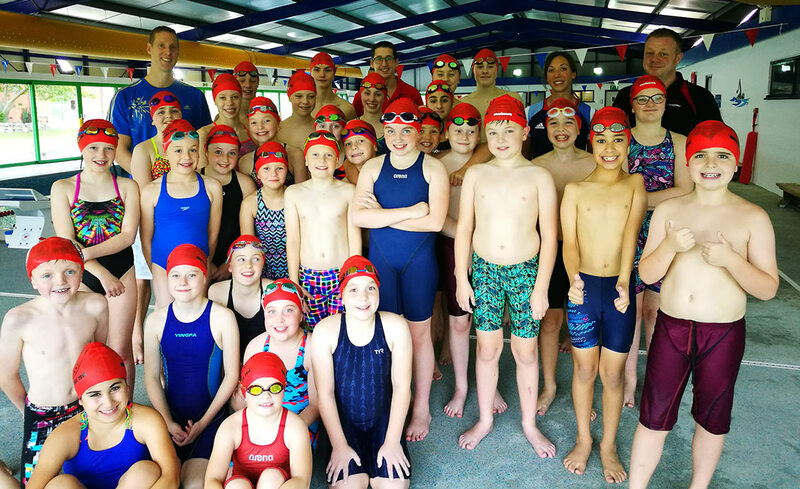 Swim Swift Elite do not solely work with UK based swimming clubs, we have visited school swimming teams both nationally and internationally. So when The King’s High School for Girls asked us to work with their swimming team and said that they could do with some help with their Freestyle and Dives, we were happy to help! The girls did a great job getting involved with everything that we asked them to do even if some of the technique ideas were very new to them. The visit was then completed with some swim specific land training exercises during an hour’s circuit training. All the girls were very keen for autographs and to talk to us before we left. We wish them good luck and hope that we’ll see them again in the future!